Time for the 21st episode of lupin vs Pat. Last time was a big turning point as a man named Noël Takao from the French division of the Global Police appeared as both Lupin X and PatRan X claiming to be on both teams' side. The preview for this episode claimed that neither team trusts him. Now, we get to possibly find out what this over powered ranger, Noël Takao, is up to. Click "read more" for the full episode summary & review. This episode picks exactly where the last one left off. 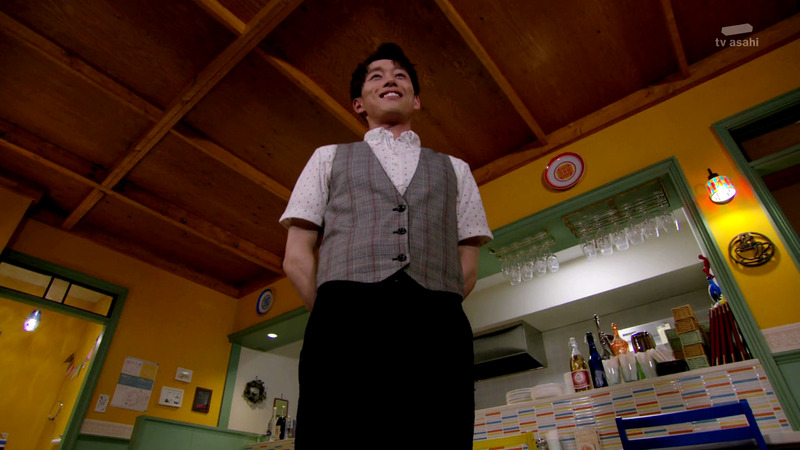 The lupinrangers are back at their bistro where Noël Takao is waiting for them. He tells the 3 lupinrangers that the news of their actions have reached even France and gives them a present as a congratulations and in an attempt to earn their trust. Inside this present are the collection pieces he took from the last episodes Gangler. Noël claims to be on the lupinrangers side and even Kogure (who appeared randomly again) knows him. Kogure reveals Noël Takao to be the one who gave the police their equipment and to be a servant of the Lupin family just like him. 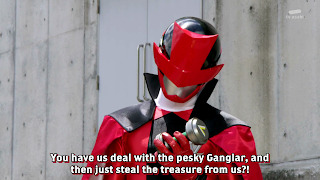 Cutting to the main villains base, they have decided to name the new duel sentai ranger as just X. While our villains are debating what to do next, we now get to see our new monster of the week. A black and pink hippo head monster wielding a toothbrush. Try saying that out loud. Back at the bistro, Noël Takao is making his case about why he is involved with the police. He claims he used to them in order to convert more lupin collection items to be usable for humans but some of them were sent to the attack force (the patrangers) without his knowledge. Tooma is not happy with Noël, claiming all the police interference they deal with is his fault. Tensions are flaring fast. I like that they don't have the rangers just blindly believe anything he says. From where it stands, Noël Takao could be on either side right now. 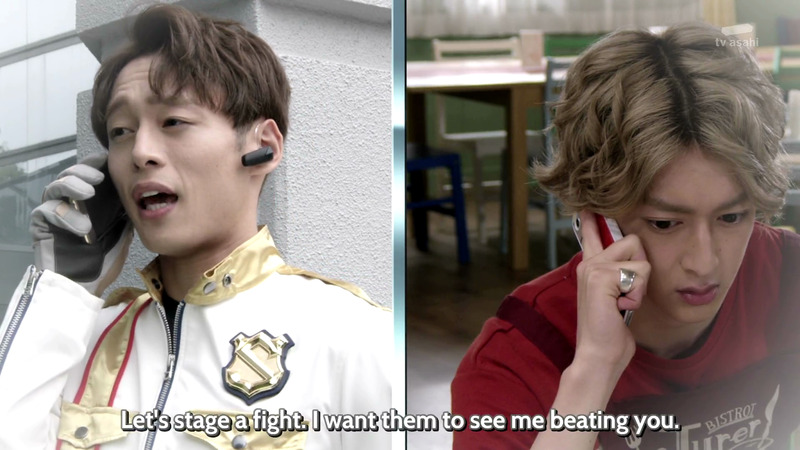 One intro later, Noël Takao has returned to the Patrangers' HQ where he is immediately greeted with hostility. The Patrangers think Noël Takao is a spy for the phantom thieves and do not trust him. They press Takao for information about the Lupinrangers' identities and what he did with the collection pieces he took from last episodes Gangler but he says that since his orders come directly from HQ he cannot answer any questions. However, Takao ensures them that he is trying to use the collection pieces to benefit humanity. Keiichiro especially does not trust him and says this lack of trust could lead to their defeat in battle. All of this is interrupted when the alarm for a Gangler goes off; the Patrangers deploy to confront the Gangler and Takao calls Kairi to tell him where the Gangler is. So far I am leaning his allegiance to the Lupinrangers. The new Ganglers plot and power are revealed. 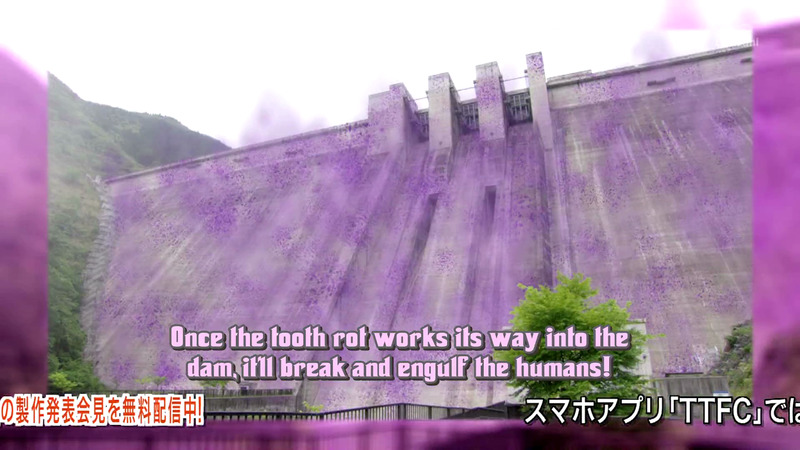 His big tooth brush causes rot on whatever he scrubs with it and he plans to rot away a dam and cause a flood which will allow him to claim the land. A bit of a pipe dream to assume that one flood would lead to world conquest. 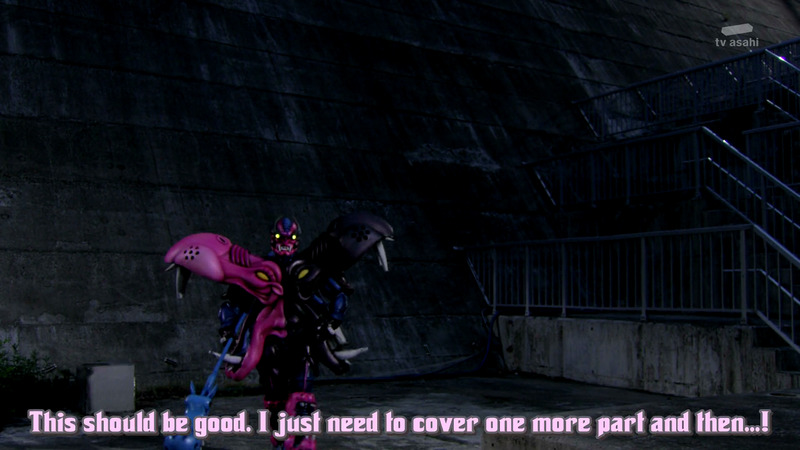 He also had to spend all day scrubbing that dam, why not just blast it like any other monster could? The patrangers arrive to confront the Gangler first with the lupinrangers showing up shortly after. Everything in this battle plays out like any other at first with the three way struggle between the Gangler and two sentai teams. However, in the middle of fighting, the Gangler reveals his collection item's power that lets him turn silver and become immune to damage. The Gangler just stands there and absorbs attacks, which leaves him completely vulnerable to LupinRed sneaking up and stealing his collection piece. Lame! Goodstriker appears, the Patrangers fuse and one one shot the Gangler. Afterwards, the lupinrangers leave with the patrangers giving chase, and Gangler does not grow giant right away because his safe fell in the water where Gouche doesn't want to go. That's a first. 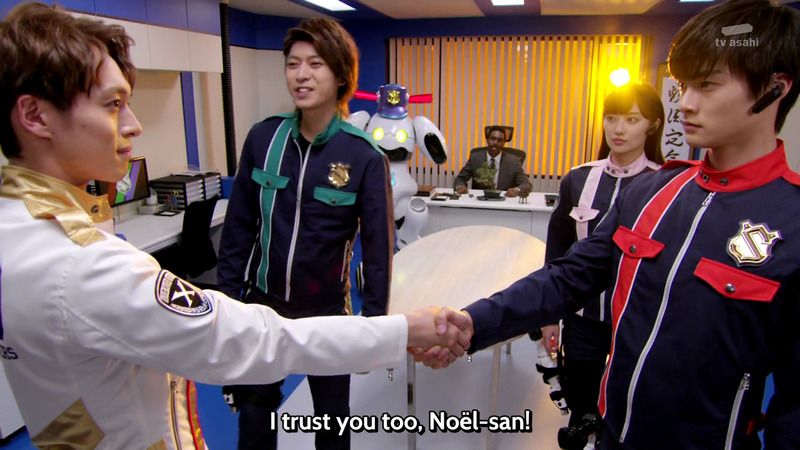 While fleeing, the lupin rangers run into Noël Takao who confirms a job well done. The Patrangers see and find out he was feeding them information. Things seem pretty clear that Noël was only on the lupinrangers side, until he henshins into Lupin X in order to steal the collection piece for himself. Now that is how you keep the audience guessing. In a 3 vs 1 duel, Kairi, Tooma, and Umika put up a decent struggle but are unable to deal any damage to Lupin X's armor. Something is up with that silver chest armor. Takao switches to PatRan X and defeats the 3 lupinrangers stealing the collection piece with the Patrangers watching the whole fight in shock. 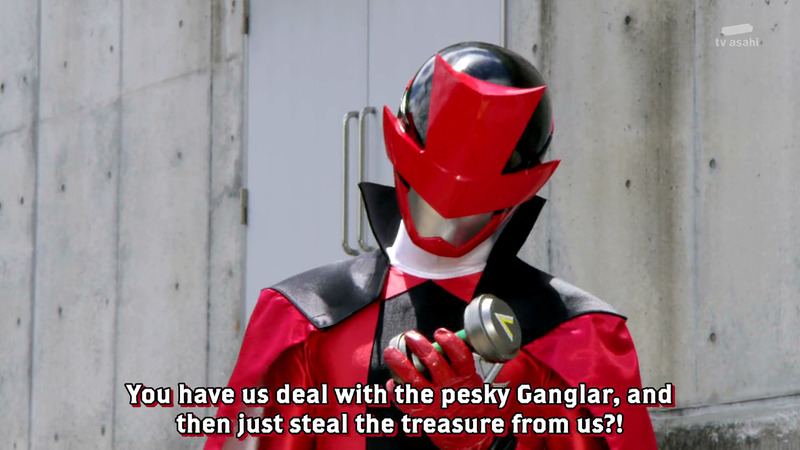 That was the first time the lupinrangers lost and it wasn't even to a gangler. Finally, the Gangler returns as a giant. 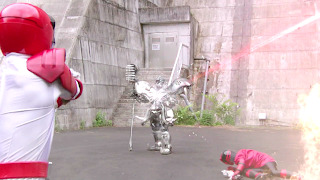 PatRan X gives the Thunder and Fire VS vehicles to Sakuya and Tsukasa in order to begin the giant battle. Keiichiro joins in shortly after with Goodstriker and a new combination is formed. PatKaiser Trains. The battle is short but is done with less CG and more costumes swinging at each other like the old seasons which was a nice pace. 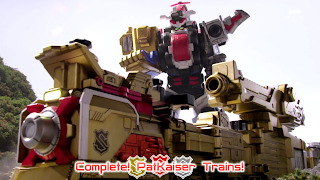 With this new firepower, the Patrangers defeat the Gangler earning them another Mission Complete. The episode ends on two separate notes. 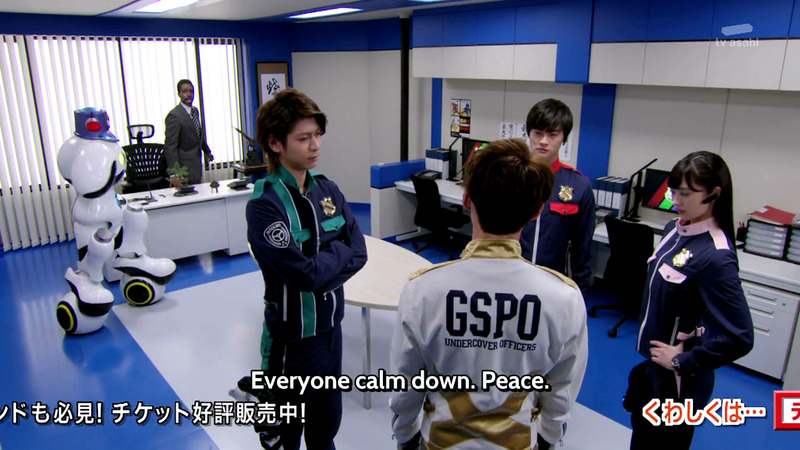 First, we are back at the Patrangers HQ where Keiichiro decides that while he doesn't believe in Noël Takao's methods, he will trust his resolve to fight for peace. However, this emotional scene gets put into question when it is revealed that this fight between X and the Lupinrangers was planned in order to fool the police. 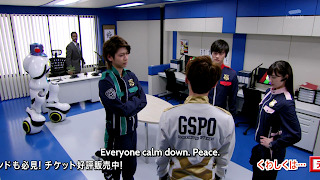 After the staged fight apparently works, the lupinrangers decide that while they cannot trust Noël Takao they can hope to use him in order to help with their quest for the collection pieces. 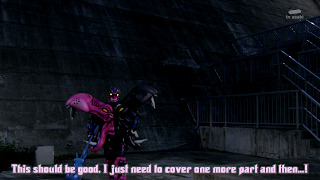 One final scene reveals Noël Takao talking with Kogure about something in secret. A secret agenda indeed. This episode was pretty intense but ended on a bit of a confusing note. Noël Takao is telling both teams that he is undercover for both of them but the evidence is clearly pointing more towards the lupinrangers. It is possible that is just done to distract from a true intention as the final scene suggests, but that is yet to be seen. If the episode had ended on the Patrangers good note after everything pointing to lupin than it would have been more uncertain over this staged fight ending. My own prediction, Noël Takao is either using both teams or secretly trying to unite them. Overall, despite the iffy ending, as a whole, this was a very well paced and enjoyable episode. One confusing ending does not ruin episode 21. Horizon Chase Turbo (Playstation 4) Review.